Protecting your home is one of the most important insurance decisions you will make. With today’s homeowner policies being written at 100% replacement cost, it is imperative that we start your policy at the proper value. Our years of experience placing coverage gives us the knowledge that we will provide you with. We write for the finest homeowner companies in the state of Massachusetts. 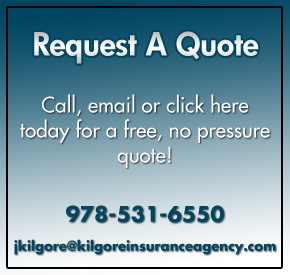 Contact the seasoned professionals at Kilgore Insurance Agency today, and get the coverage you need at the price you want.